Distribution Direct Named United States Operations Center for Global Apparel Alliance - Outsourced ecommerce order fulfillment and logistics services for business. Distribution Direct announced today on PRLog that Global Apparel Alliance, the exclusive maker of Cooper & Stewart non-iron cotton men’s dress shirts, has selected it to be its United States Operations Center. The full press release is available below. Charlotte, NC (February 21, 2014) – Global Apparel Alliance today announced that it has selected Distribution Direct, a leader in third party logistics, to be its United States operations center, handling all warehouse, fulfillment, distribution, customer service and back office functions for the international apparel company. 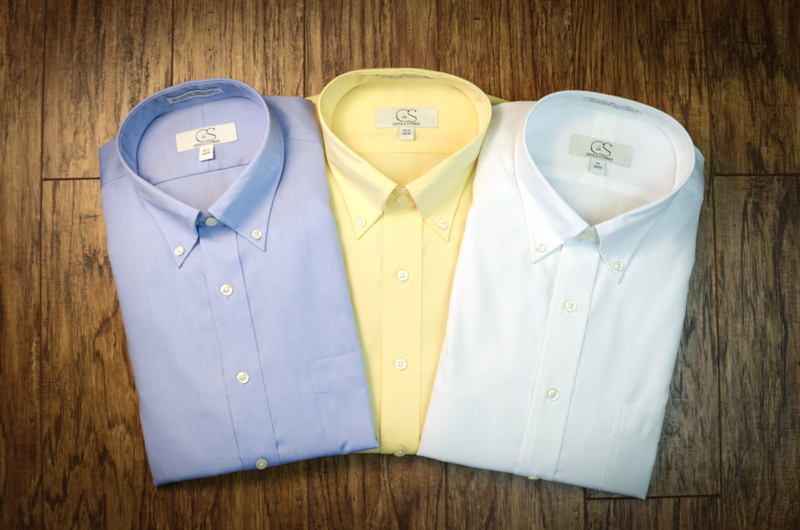 Global Apparel Alliance is the exclusive maker of Cooper & Stewart non-iron men’s dress shirts distributed to better men’s specialty stores. “Our goal is to ensure that clients get the best price without compromising a single stitch in the garment quality their customers desire and demand,” said Steve Short, Global Apparel Alliance Managing Partner – Sourcing. “Centralizing all operations within Distribution Direct fits that business model perfectly because now we can move our products with much more efficiency and agility,” Short added. In addition, Global Apparel Alliance’s strategy is to keep certain core products in stock. This in-stock position gives clients the ability to carry less inventory on such items themselves because they can replenish daily or weekly as needed. “We started with this idea of turning things around in the merchants’ favor,” said Jim Sweeney, Global Apparel Alliance Managing Partner – Sales. The location of Distribution Direct’s warehouse, just south of Charlotte in Rock Hill, SC, makes it possible for its clients to reach 77% of their U.S. customers with two day shipping. Using a warehouse management system that fully integrates with clients’ own ordering systems and manning its customer service line with experienced professionals, Distribution Direct is able to move anywhere from 1 to 10,000 products through its warehouse per day. About Global Apparel Alliance: Global Apparel Alliance is an international apparel company dedicated to creating the highest quality apparel at some of the most competitive prices in the industry. It offers its signature brand, Cooper & Stewart, and other apparel made from the highest quality materials to better men’s specialty stores throughout the United States. For more information, visit www.globalapparelalliance.com. About Distribution Direct: Distribution Direct’s 150,000 square foot, safe and secure warehouse is located in Rock Hill, SC, just south of Charlotte, NC and its major trucking and rail routes. The company offers complete warehousing, fulfillment and distribution services, including customer service support, for companies of all sizes located in the U.S. and beyond. For more information, visit www.distributiondirect.com.